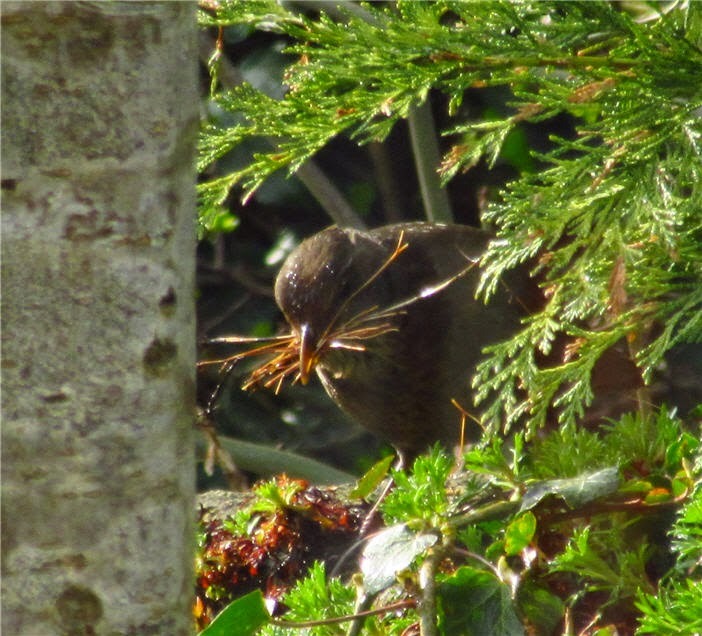 Whilst in the background this Blackbird gathered nest materials.. Different country; same excuse for not getting on with the chores!! 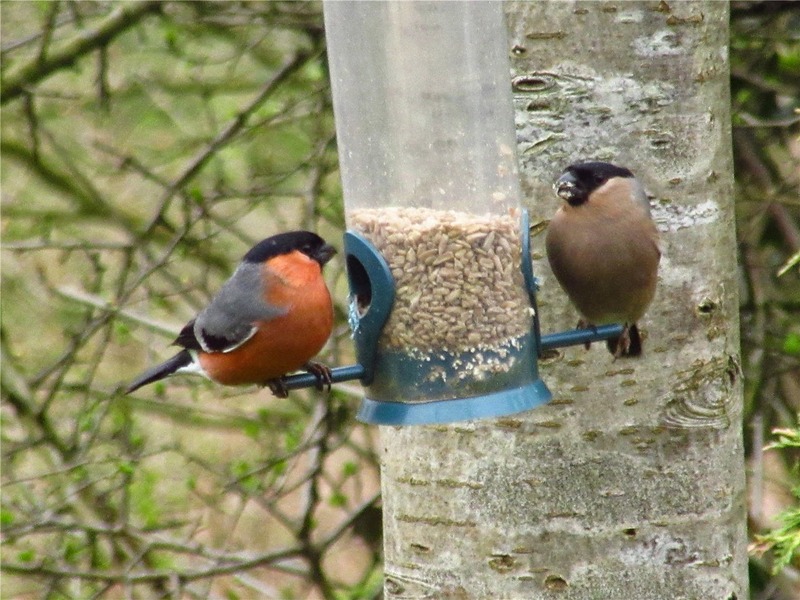 Bullfinches are so pretty. I've only ever seen them once in real life, while on holiday in Wales, and I had forgotten to pack my binoculars. I was so disappointed not to be able to get close to them. Fantastic pics. Why not? You're retired! Susan, I can just imagine what went through your mind when you had the opportunity but no binoculars! We are so lucky to get these birds close to the house. 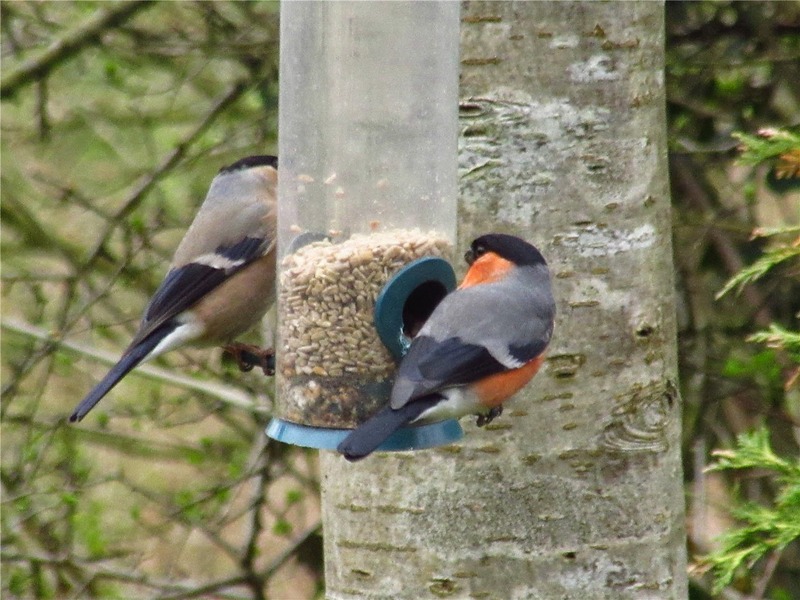 The feeders are 3m at most from the study window. Gaynor, how right you are!! 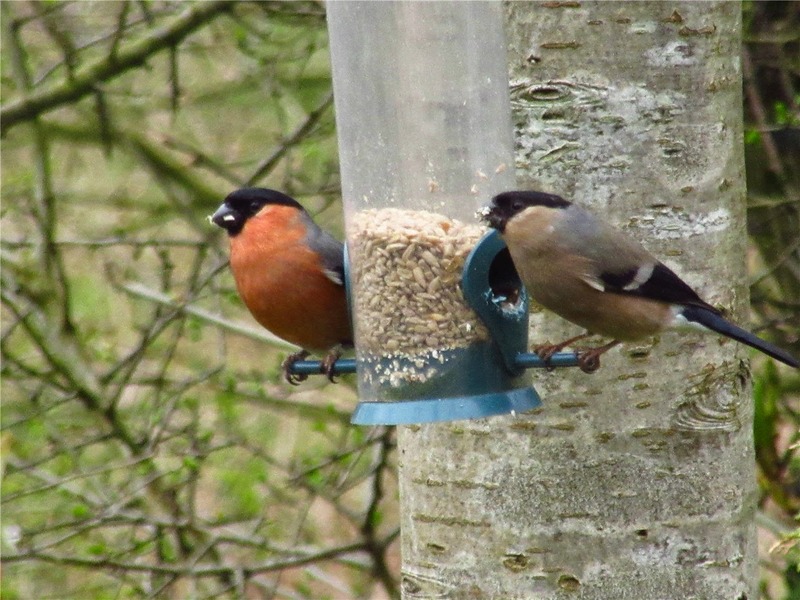 I've never seen a bullfinch in real life - I had no idea that they were so colourful. Well captured! Craig, As with so many photos it's just a case of right place, right time, camera to hand!! 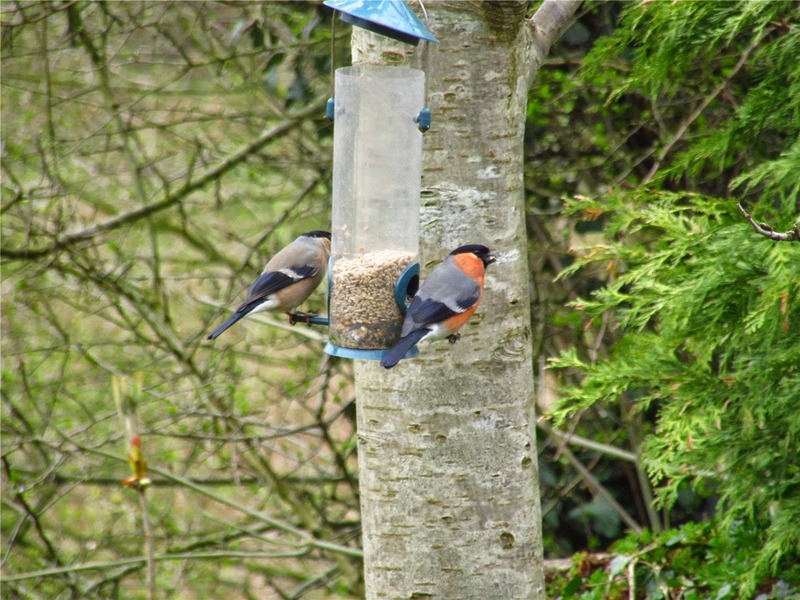 I miss the various finches that we used to get on our bird feeders in the UK. We seem to get very few here. Mind you, with Daisy around it's probably not a good idea to invite too many of them to dinner!